The greater use of technology within education has seemed to improve the lives of students as they continue to grow and develop. Many students enjoy the ease that comes with technology as schools shift to more online programs and away from the use of paper and textbooks. Technology does have many advantages when it comes to school work, and it is a great service to students in the high school as they are challenged with more rigorous studies. 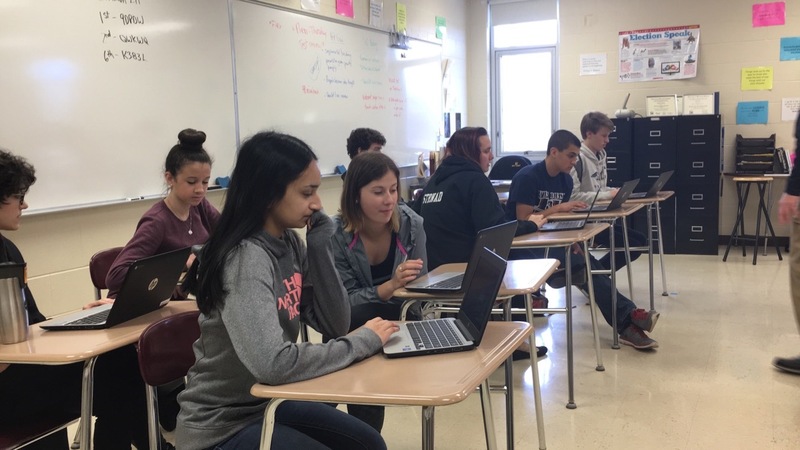 “I definitely see the value in utilizing technology, and it can be extremely beneficial to students in regards to research, reviewing concepts, and finding other resources,” said Kristen Becker, a West English teacher. Technology can also be helpful as it provides an alternative way for students to gather new information. There are various means by which a child can approach learning topics and technology seems to grant them a positive way of doing so. However, technology also has some negative affects observed by teachers who feel it sometimes prevents students from learning properly. Students use Chromebooks today in Dave Talma’s AP Government course. Photograph by Gabrielle Diaz, Current Staff. In Gitter’s manufacturing class, students utilize technology daily, but he has witnessed many students still struggle to acquire the information necessary to truly learn what is being taught. Many teachers feel technology takes too much time away from the curriculum as the implementation of technology takes more effort than the traditional way of teaching. They have also noticed a transformation in the way students behave in the classroom due to the extensive use of devices. “Technology can be used to engage students, but I think it can also cause students to have a fleeting attention span and to only be satisfied with immediate answers and/or gratification,” Becker said. Those who are employed in the West Bend High Schools are not the only ones who realize that with this advancement towards more technology, schools across the nation have failed to consider all the effects caused by heightened technological use. It may appear that with increased technology, students are better suited to learn than they ever have before, but studies prove that this is not always the case. It is also evident that technology cannot work for every subject that is taught. There are classes that are meant to maintain the classic form of education. “When teaching literature, I believe there is still something to be said about having a real, engaging class discussion—no bells and whistles are needed,” Becker said. Not all students are glad to move towards more online activities and abandon the original style of learning. Although technology can invite a more accessible method of studying, it still displays some glitches. 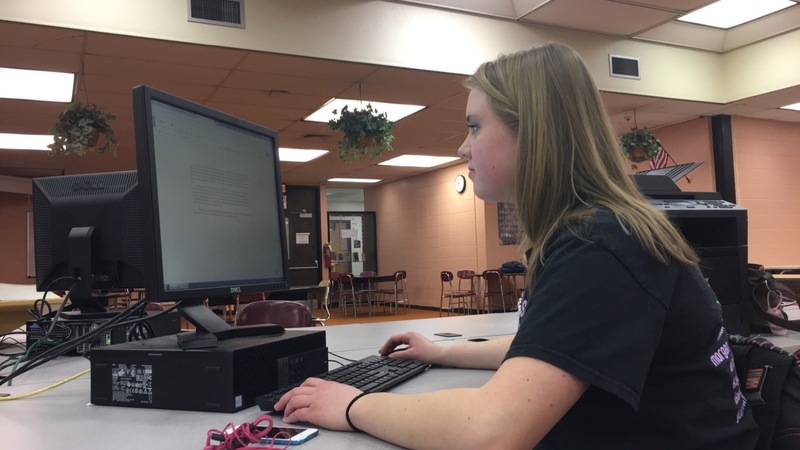 “I find that more technology in the classroom can be useful for certain classes like biology when we do labs or math when we use the smartboard, but I also think that technology should be limited in other subjects, like English,” said Alice Lang, a West senior. Gitter also says that the online programs that are being applied in schools are falling short of the techniques students will need for the real world. Technology has encouraged more progress in the lives of students, but the manner in which it is being employed in schools has perhaps caused disparity between what is needed for the workforce and what is convenient to the student or teacher.